Stepping into the InstaRyde offices in Toronto’s North York suburbs feels like walking in on an active brainstorming session that’s bursting with promise, but hasn’t fully settled. That’s mostly because InstaRyde’s offices aren’t actually ready yet. The two-storey building on Alness Street is still under renovation, with only a few offices, some bathrooms and a sparsely stocked kitchen to show for all of the work that’s been done so far. The site is so much under renovation that contractors are actually still meeting with staff to figure out how to arrange (and build) the space. 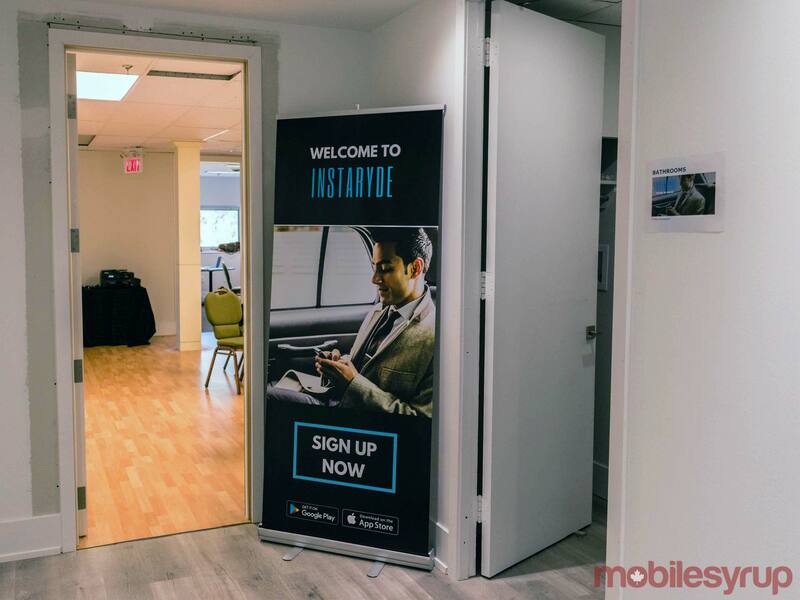 Still, while the offices might not be ready, InstaRyde — a Canadian answer to popular ride-sharing services like Uber and Lyft — is prepared to launch. In fact, the app officially goes live as of 3pm on December 1st, 2017, entering a market that’s already dominated by a popular American ride-sharing platform that’s known worldwide as the go-to source for an alternative to city-sanctioned taxicabs. Ask anyone from InstaRyde, however, and they’ll tell you that that’s not necessarily a bad thing. Google InstaRyde, and you’ll encounter a list of the usual links: the company’s official website, a link to download the app on the Google Play and iOS App Store, and even a few news stories about the company. However, one link in particular stands out: InstaRyde’s pitch to the investors on Season 11 of CBC’s popular business competition program Dragons’ Den. Anyone can watch the clip in its entirety, but be warned, it’s rough viewing. In the video, InstaRyde CEO Karim Sumar is joined by Nabeel El Khafif. The two pitch the app, which they describe as a Canadian take on Uber. The difference is that InstaRyde is Canadian-made, and lets users tip their drivers. The app demo fails because the duo are unable to prove that there are any drivers on the road. And then the Dragons absolutely tear into them, pointing out every single possible difficulty that one would expect from a company attempting to replicate Uber in a world where Uber already exists. The Dragons complain about a lack of differentiating factors; they highlight the fact that Uber’s ubiquity means that new players most likely won’t be able to disrupt the space; and the Dragons criticize InstaRyde’s founders for not knowing how to properly manage their money. In spite of the criticism, Manjit Minhas offers InstaRyde $500,000 CAD for a 25 percent stake in the company. Truth be told, the Dragons’ Den appearance isn’t just an example of InstaRyde’s early growing pains — it also paints the company’s December 1st, 2017 launch in a confusing light. After all, Season 11 first aired in October 2016, and a core aspect of the pitch was the fact that InstaRyde already had drivers on the road. So, if the app is already live, why precisely is the company launching again? 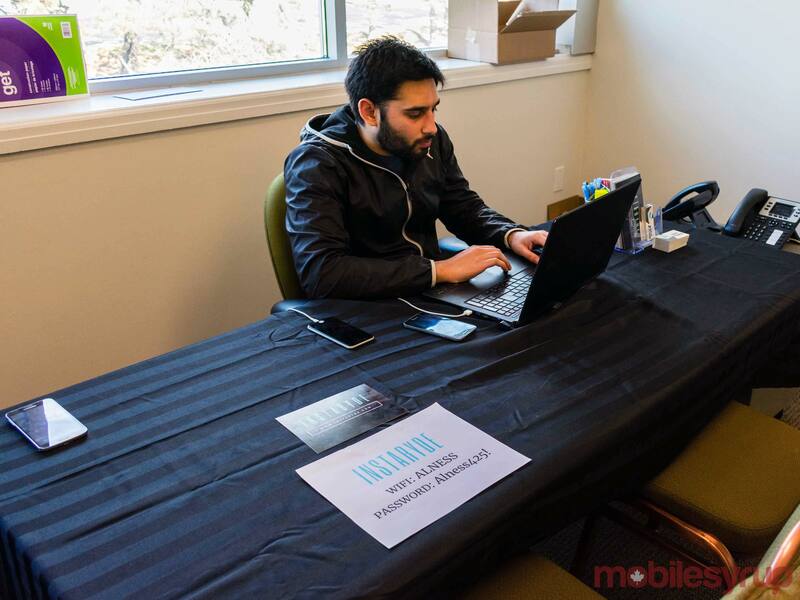 The company’s marketing manager Naveed Marzook helped clear up the confusion. 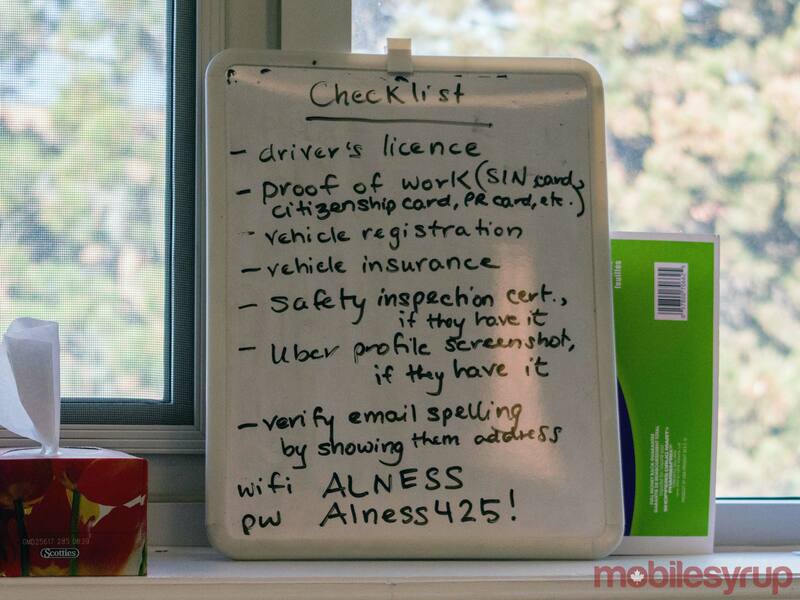 “We actually did some testing in Austin and Toronto two-years-ago, and obviously what we really wanted to do was… a little bit of upgrades and amendments onto our particular app from the feedback that we’ve been provided with by drivers and riders,” said Marzook in an interview with MobileSyrup. 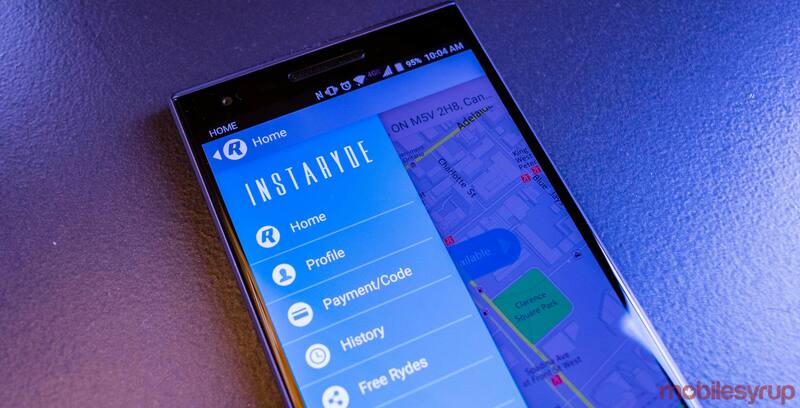 InstaRyde considers its 2015 launches in Toronto and Austin as beta-tests — a very soft launch of sorts. Impressively, approximately 1,200 drivers signed up for InstaRyde within a 24-hour period when the service first launched two-years-ago. The Dragons’ Den appearance, therefore, can be read as an attempt on the part of Sumar to generate interest in the company, as well as an additional source of investment. As for users, when the app finally goes live, anywhere between 2,000 and 2,500 passengers will be waiting for a ride. If that doesn’t seem like a lot, it’s because it’s not. In 2015, Uber logged roughly 300,000 trips each month in Montreal. That was two-years-ago in a smaller city than Ontario’s capital — the current Toronto numbers are no doubt staggering in comparison. Of course, convincing people to try out your ride-sharing service is only the first step in achieving a market presence. After all, a ride-sharing platform is completely useless without drivers — and that’s InstaRyde’s real big bet. Jose Angarita was born in Colombia, but was raised for part of his life in Argentina. He’s a genuine world-traveller. When it was time to find some form of meaningful work, Angarita took to the seas on a tourist cruise line, where he spent five years of his life travelling the Mediterranean, the Middle East, the Caribbean and South America. Angarita also worked in the food and beverage industry for roughly 15 years, as a chef. He moved to Canada about a year-and-a-half ago, with his wife and their young child. As a relative newcomer to the country, Angarita took it upon himself to become versed in the Canadian way of doing things. He signed up for classes in business administration and human resources, and set out to find a part-time job. “There are tons of jobs out there, but nothing will actually help me to support bills — all my expenses,” said Angarita. After his friend told him about Uber, Angarita decided to try his hand at the taxi industry. “Since we’re in this land of opportunity, I decided to take my chances, and see what happens,” said Angarita. It turned out that Angarita was quite good at being an Uber driver. Suffice it to say, between his classes and the money he was making driving for Uber, Angarita was rather satisfied with his new Canadian life — for a short time, that is. He’d only been an Uber driver for three weeks when his account got locked because of a complaint. What was Angarita’s great misstep — the crime he committed? Someone said that his car smelled funny. Unable to convince Uber to reactivate his account, Angarita did what he does best. He got to work. Almost by accident — by coincidence — Angarita came across the name of this Uber-like startup called InstaRyde.“It was something Canadian, something from here, something that is happening,” said Angarita. Refusing to, as he put it, stand in his living room with his arms crossed, Angarita hopped in his car, brought over the necessary documents, and signed up for a job with InstaRyde. Little did he know that he’s exactly the kind of person that InstaRyde is looking for. InstaRyde plans on securing high-quality drivers who have experience with platforms like Uber and Lyft. As of right now, having previous ride-sharing experience is actually a necessity. Signing up to drive for InstaRyde isn’t too different from signing up for something like Uber, either. Toronto has specific rules for ride-sharing drivers, who fall under the category of Private Transportation Company (PTC) drivers. “The Toronto government already sort of has regulation and things like that already set up, especially for drivers to make sure that they have their PTC license,” said Marzook. The city regulates PTCs by a number of metrics, one of which includes a restriction on how old a vehicle is allowed to be before it becomes road-unworthy. Specifically, PTC drivers can only use vehicles with four doors that can carry a maximum of seven passengers. Vehicles must also fall within seven model years. Of course, what Marzook didn’t say is that InstaRyde will also connect with drivers and passengers who are ready to move away from Uber — drivers like Angarita. Between drivers sexually assaulting and harassing passengers, a corporate culture that has been heavily criticized for its almost willfully misguided lack of diversity, as well as a hack that saw 57 million U.S. customers affected (that Uber didn’t even disclose until a full-year-later) there are an abundant number of reasons why people might want to steer clear and find a ride-sharing alternative. That alternative is no doubt part of what InstaRyde hopes to capitalize on. 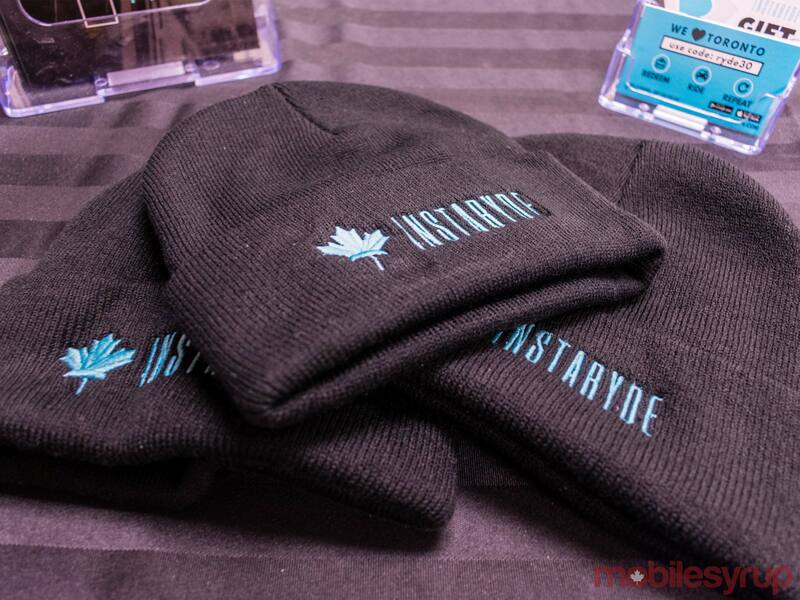 By giving Torontonians a Canadian product that acknowledges and respects local cultures, customs and ideologies, InstaRyde hopes to be able to provide a service that resembles its competitors, but that has learned from its competitors’ missteps. 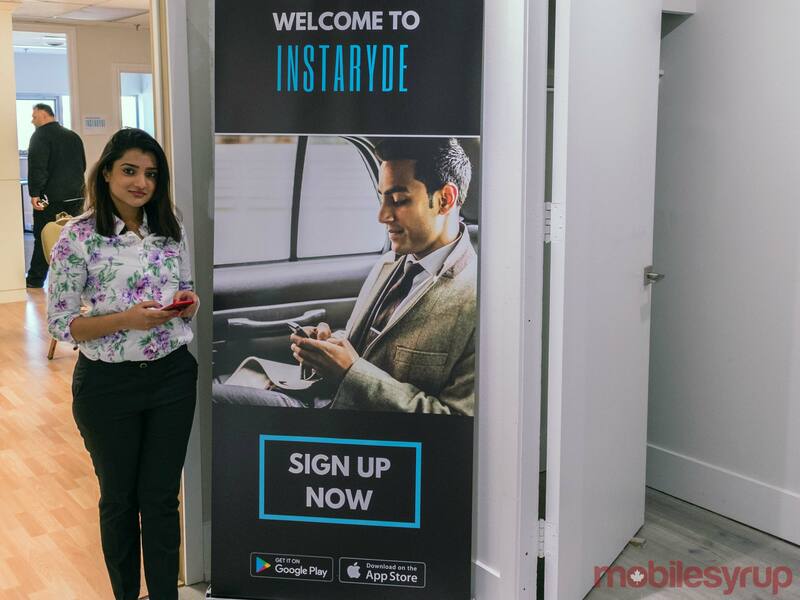 “InstaRyde has taken pride into really promoting multiculturalism, diversity and inclusivity, and that is really prominent when it comes down to the drivers and the riders that we really want to promote,” said Marzook. And, as long as potential drivers bring their supporting documents — their driver’s license, registration, insurance papers and proof of previous employment — it’s actually a quick process to start driving with InstaRyde. In fact, several InstaRyde employees were helping new drivers — including Angarita — sign up for InstaRyde while I visited their offices. Granted, InstaRyde’s real secret weapon isn’t so secret at all. Marzook was more than excited to mention that drivers and passengers alike will be drawn to the new service for a very simple reason: InstaRyde costs less and pays more. “…For riders, we’re actually 20 percent on average more affordable, because of the fact that our service charges are actually considerably lower than Uber,” said Marzook. InstaRyde also plans on taking a flat fee of $0.99 from their drivers, instead of the “20 to 30 percent” that Uber charges. “The reason we do this is because we understand that, again, a driver may be doing this either full-time or part-time, but they want to maximize the amount of money that they make,” said Marzook. 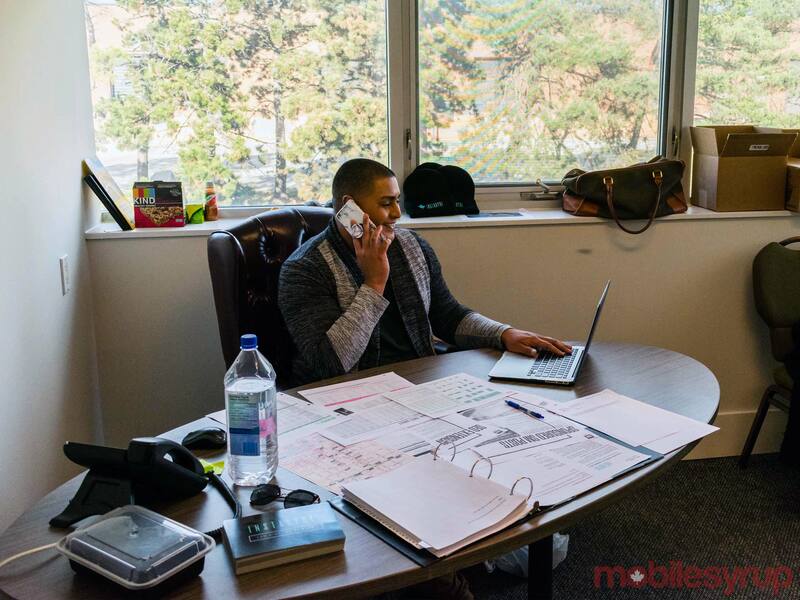 “So at this point in time, people will continuously ask us about how you’re making money. Well, you know what, we’ve done the math and we understand that especially to scale an organization and really control a certain percentage of the marketplace, we need to spend more money at this point in order for us to take over and make money.” Drivers also have an added bonus when they drive with InstaRyde. That’s not a turn of phrase, InstaRyde actually plans on incentivizing its drivers with a series of milestone bonuses. If drivers complete 250 trips within the first 90 days of driving, they can earn a bonus of up to $500. If drivers completes 375 trips within the first 90 days of driving, they can earn a bonus of up to $750. Complete 500 trips within the first 90 days of driving? You can earn a bonus of up to $1,000. InstaRyde has also teamed up with insurance provider Northbridge for vehicle and accident insurance that is available to drivers, so long as they’re on the job. When InstaRyde launches, when passengers request rides and when drivers start picking up passengers, the company will have taken its first real steps in a world that is very different than when beta tests were being conducted in 2015. Suffice it to say, not only are municipalities more savvy about PTCs, but so are riders and drivers. Not to mention, the upcoming arrival of Lyft throws the plans of both established companies and newcomers into flux as well. InstaRyde is free-to-download on both Android and iOS. However, until the app officially goes live, drivers won’t be able to pick up passengers, and passengers won’t be able to request rides. Update 22/12/2017: The story has been updated to reflect that Nabeel El-Khafif is no longer associated with InstaRyde.